At first glance, the Salvonista Mobile Boutique appears to be an ordinary van, but a closer inspection reveals otherwise. This one-of-a-kind eco-friendly vehicle is powered by sustainable energy and fully geared as a “pop-up” fashion store. Salvos Stores in Australia’s Eastern Territory launched the first fashion-focused Salvonista campaign in September 2012 to encourage fashion-savvy, budget-conscious consumers to shop at their local Salvos Stores. There, customers can discover affordable fashion while benefiting the community and environment. At the launch event, Salvation Army officers welcomed guests, including media, celebrities and Salvation Army staff, blessing the store before the official ribbon-cutting ceremony. Guests were then invited inside to shop. 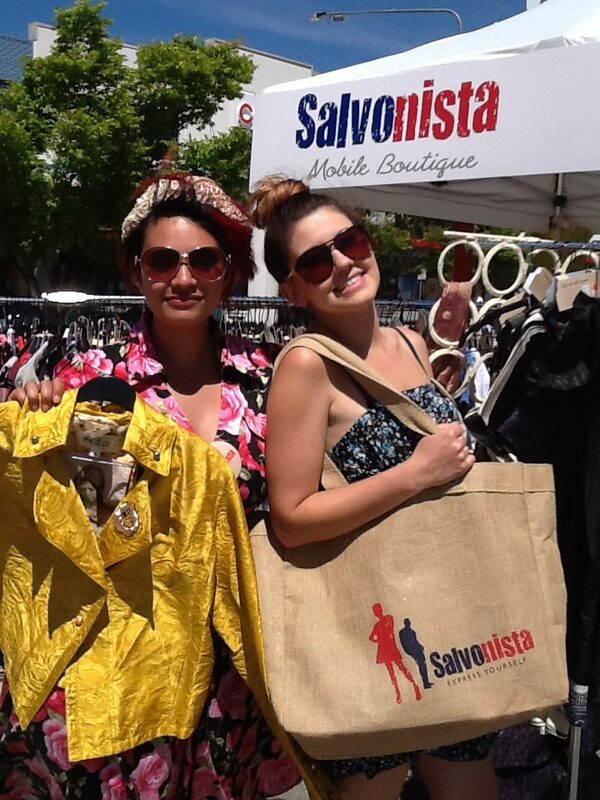 The Salvonista Mobile Boutique popped-up in key locations throughout its opening month—in New South Wales, Queensland and Canberra in the Australian Capital Territory. These sites included shopping malls, universities and marketplaces. “My Salvos Stores,” which entitles the shopper to a 50 percent discount. At the end of the launch event, a 21-year-old man stopped by and donated every cent in his pockets. He said he “thanked God for the Salvos,” who were there for him when he had no one—an inspiring reminder to the campaign objective.